Jeera Aloo - a beautiful combination of potatoes and cumin seeds - is very easy to prepare, real quick dish, which goes very well with rotis, puris or rice and dal. I am a big fan of potatoes and this dish is a real treat. Green chillies - 2, finely chopped. Pressure cook the potatoes till 1 whistle and switch off the flame. Remove the potatoes from the cooker once it cools down and peel the skins off and cut them into small cubes. Heat a tawa and dry roast cumin seeds and coriander seeds until they turn dark brown (do not burn them) and then powder them coarsely. Heat about 1 tsp oil in a kadai and fry the potatoes on medium flame till they start turning light brown and crisp. In the same kadai, add the remaining 3 tsps of oil and add cumin seeds. When they crackle, add hing and then add the green chillies and fry them. Add the coarsely ground cumin and coriander powder, amchur powder, red chilli powder, the fried potatoes and salt and mix them well and let it cook on medium flame for about 2-3 minutes. Garnish with coriander leaves and remove from fire. 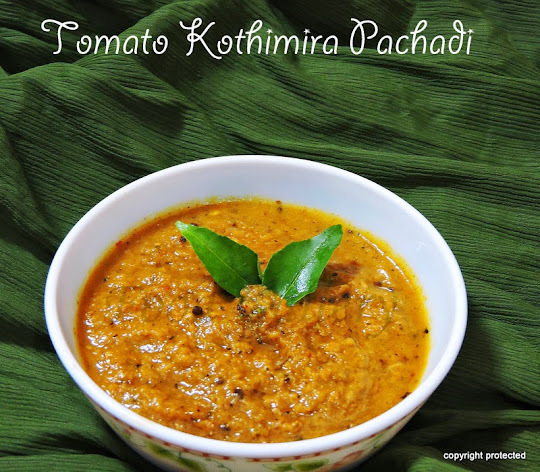 Serve with rotis or parathas. Spicy, delicious & flavourful recipe!! 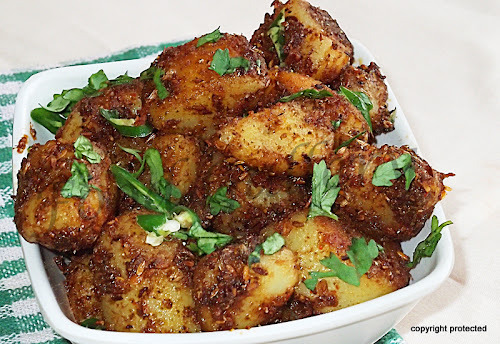 Superb potato fry...I love potatoes and am in total love with this spicy delicious dish.. Perfect and my kind of potato fry. Love to have with rasam rice:) Slurp!! perfect to go with roti or variety rice..
Slurp...you have roast the potatoes well..Love the masala over it..
you have lovely space too with delicious recipes..